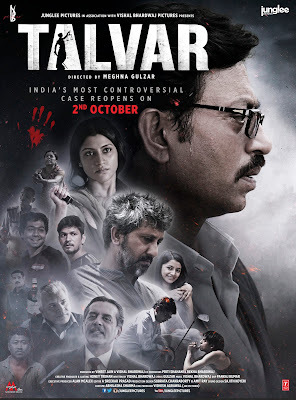 Home / 4 Stars / Events / Movie Review / #MovieReview: Talvar ~ A frank and engaging revisit to India's Most Controversial Murder Case! #MovieReview: Talvar ~ A frank and engaging revisit to India's Most Controversial Murder Case! Talvar movie releases on 2nd October and I had the good fortune of watching it first at a special screening organized for a chosen few.. This movie takes us back to the horrifying double murder of 2008 in Delhi, India of a young girl and the male servant of the house that created quite a buzz in the country with its many layers of mystery and new discoveries made each day that still remained insufficient to bring this case to a satisfactory closure. The parents of the murdered girl, Aarushi were ultimately sentenced to life imprisonment based on evidence procured by the Police despite their many claims at innocence. Directed by Meghna Gulzar, the movie recreates the investigation and has a tight plot. The screenplay is crisp, engaging and had me engrossed right till the end. It is clear right from the start that the movie plot has been well researched to give the true facts about the crime. All the actors play their parts to perfection. No one actor can be said to be better than the other. Irrfan Khan plays the role of the investigating officer with conviction and had me following him in his investigation of the case. Konkona and Neeraj play Nupur and Rajesh Talwar (here as Nupur and Rajesh Tandon) realistically and were able to elicit the proper emotions from the audience. Sometimes I felt empathetic towards them, feeling their pain at losing their only daughter and at other times, I felt like they were hiding something and maybe they were the real murderers. Sumit Gulati playing the role of Kanhaiya, Rajesh Talwar’s compounder and another suspect in the murder case played his role most convincingly and I could visualize the real Kanhaiya in him who had been suspected of the crime with his shady movements and later revealed motives in the case. The actor playing Hemraj brought the real Hemraj to life who is still an enigma to everyone. Was he a loyal servant and a sincere man? Or was he the characterless person portrayed in the news? The girl playing Aarushi (here Shruti Tandon) does well and despite not having many scenes is convincing and brought the mysterious Aarushi to life on the screen. A young, bubbly girl with no care in the world, comfortable in her life as a sole child to doting parents and with the usual daily routine of any normal teenager, she would never have guessed that she would die and like this. Still an enigma, this movie is a brave attempt to give us a clearer picture of the girl and her murder. The surname of the family has been changed from Talwar to Tandon in this movie and Aarushi Talwar is Shruti Tandon here to give the movie a somewhat fictional touch. All in all, Talvar is an engaging, beautifully presented movie that at times made me feel like I was experiencing the reality rather than watching a movie! 4 stars out of 5 to it from me. It can be watched with family and friends. I loved watching and revisiting this case again and recommend the movie to everyone. The movie will interest everyone irrespective of whether you have followed the case on TV or not. What do you think about this film? 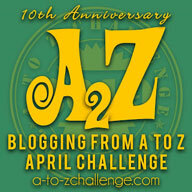 Do share your thoughts with me. I love hearing from you.